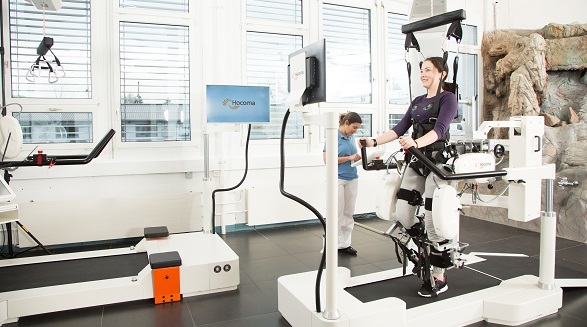 Relearn how to walk from the beginning with Hocoma’s Lokomat, a robotic-assisted therapy solution that enables intensive gait training. It uses an individually adjustable exoskeleton combined with dynamic body weight support. The hip and knee joint angles can also be individually adjusted during training to tailor the Lokomat to the specific needs of the patient. 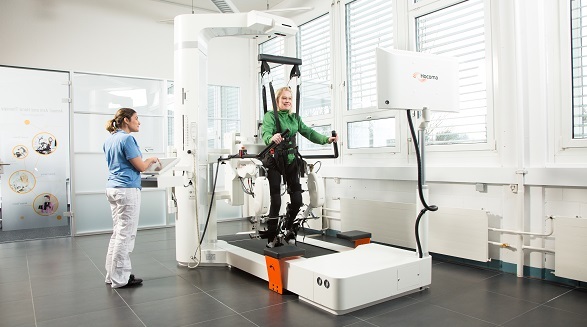 It is so customisable and versatile that you can train a wide range of patients to develop a healthy physiological gait pattern, even those with severe disabilities. 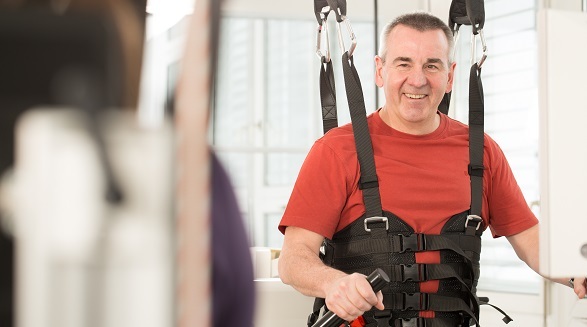 During rehabilitation, patients need to be challenged beyond their individual capabilities. This is where the Lokomat can truly benefit your patients. 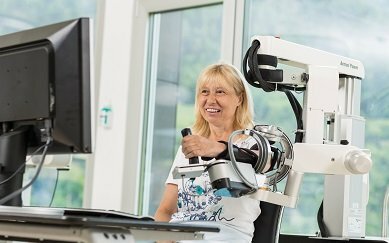 Speed, loading and robotic support can be adjusted to optimally shape the intensity of the therapy, and patients are motivated to reach their goals with various game-like exercises. Their level of activity influences the performance of the task, the gait pattern and the speed. The Lokomat provides a natural plantar pressure distribution, sensory feedback and physiological vertical displacement during the complete gait cycle. This Augmented Performance Feedback (APF) maximises the effect of gait training. Studies have shown when using APF, muscle activation and cardiovascular exertion can be considerably increased. The Lokomat Pro can be fitted with standard orthoses for adults or with pediatric orthoses, which are available as an optional module. The paediatric orthoses are designed to accommodate small children by offering a special set of harnesses and cuffs that provide a precise fit for patients with femurs between 21 and 35 cm (8.3 – 13.8 in.). The two interchangeable sets of orthoses can be easily swapped out by the therapist for a versatile rehabilitation solution, and both offer the same wide range of therapy benefits. Patients are becoming increasingly more informed about what the most effective and efficient therapy is, and they use this information to decide where to go for their rehabilitation. 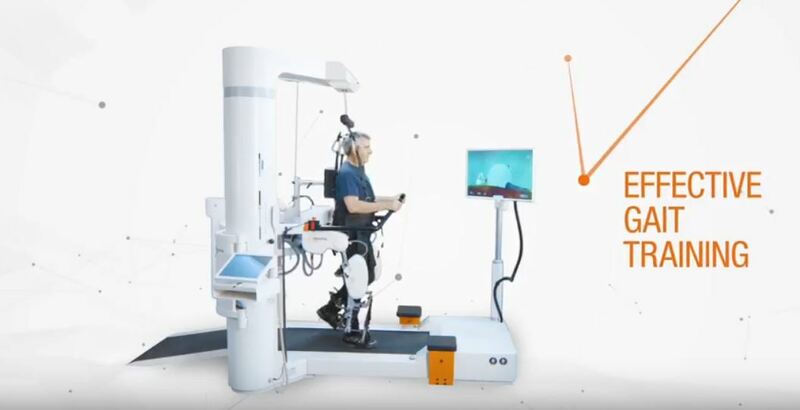 All patients look to receive the most effective training possible, and the Lokomat ensures high quality and repetitive gait rehabilitation—a great reason why a patient might decide on your clinic. More than 280 studies have been published on Lokomat therapy in peer-reviewed journals. Visit www.knowledge.hocoma.com to read more. Download the Lokomat brochure here. From acute inpatient care to outpatient rehabilitation. 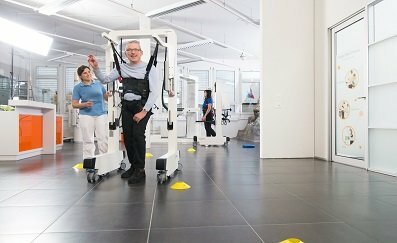 The Andago is the world’s first free-moving mobile gait robot, combined with a body weight support system. 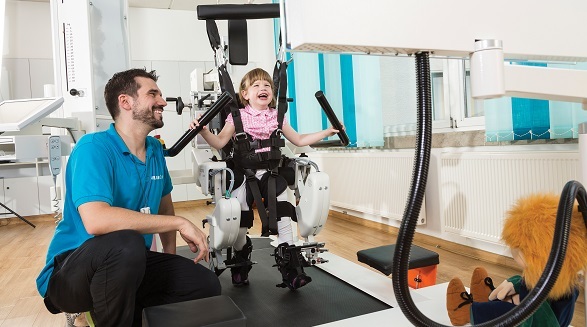 The Armeo is a robotic exoskeleton which enables patients to practise and repeat movements with their hands and arms to aid rehabilitation. 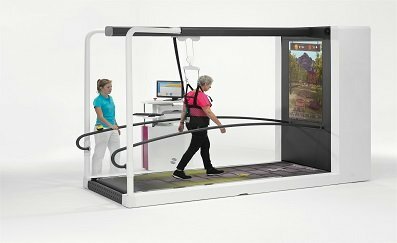 The C-Mill is an augmented and virtual reality instrumented single belt treadmill, used for the evaluation and training of impaired gait and balance. 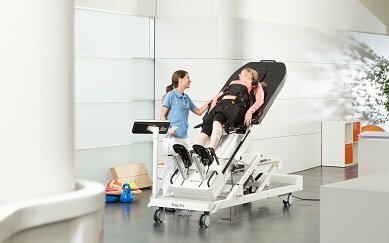 The Erigo combines gradual verticalisation with robotic movement therapy, using robotic leg movement in a safe tilt table-style system. The all-new software platform, connecting all of Hocoma‘s portfolio across the entire continuum of care. Fight back pain by playing games using the Valedo, a medical sensor device for digital back therapy at home or in the clinic.